The ruff is the fashion item most associated with the Renaissance. It evolved from the collars of the shirts worn by men underneath their doublets. The collars would have a small decorative ruffle around the top, which would add a bit of visual interest. Gradually this ruffle grew larger, becoming its own independent garment. What made the ruff possible was starch. In the early sixteenth century, starch was imported from the Low Countries. 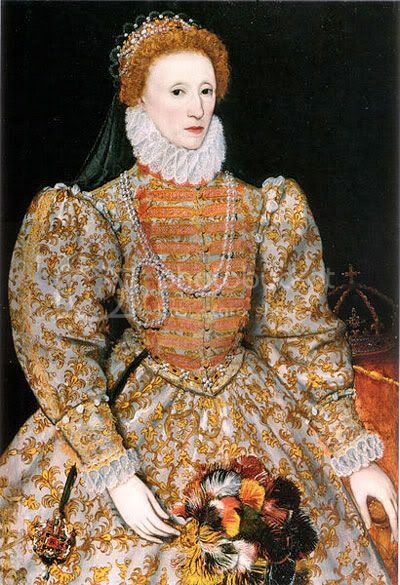 But the ruff really began to blossom in the 1560s when starch production came to England. In 1564, Mistress Dinghen van der Plasse moved from Flanders to London, opening up her own starch making business. The business flourished, and soon there were manufacturers all over London. Starch was derived from cereal grains such as wheat or corn, which caused some contention. William Cecil, chief minister to Elizabeth I once said, "Is it not a very lamentable thing that we should bestow that upon starch to the setting forth of vanity and pride which would staunch the hunger of many that starve in the streets for want of bread?" 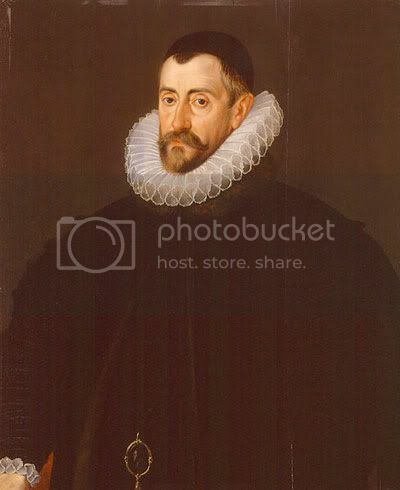 Sir Francis Walsingham by John De Critz the Elder. Ruffs were made from starched linen cambric, edged with lace, although as the century wore on, ruffs could be made entirely of lace. Lace was a new textile, having developed in the early sixteenth century. It was immensely time consuming to make, therefore it was EXTREMELY expensive. And while we think of linen as a basic fabric today, the quality of linen in the sixteenth century was highly superior to the quality of linen today. One surviving ruff has linen with a thread count of fifty threads to one centimeter. The fabric was put into a figure 8 pattern, called goffering, and sewn with gossamer threads. The larger ruffs, called cartwheel ruffs, had a basic wire support system called a supportasse or underproper. 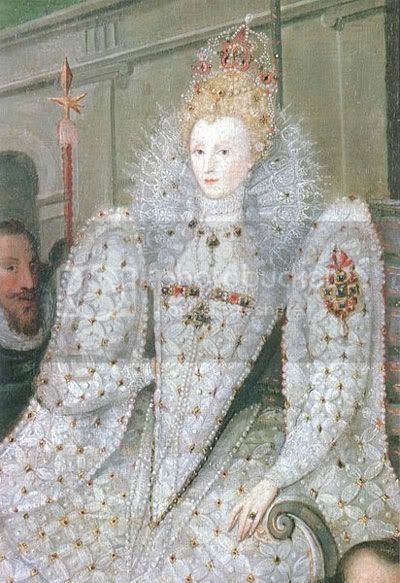 Detail of a procession portrait of Queen Elizabeth I of England, c. 1600. 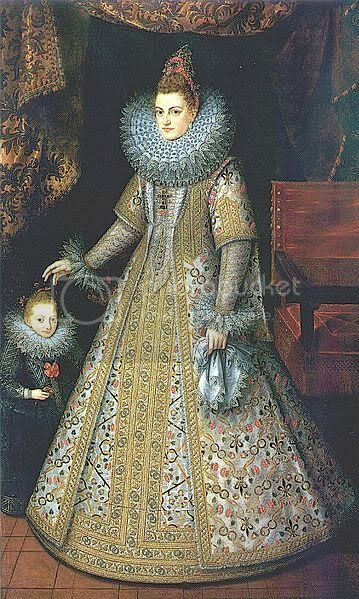 Ruffs were highly luxurious garments. They could take hours to set, and could only be worn once as body heat and the weather would cause it to droop and loose shape. Their placement on the neck affected posture, forcing the wearer to keep their chin up and assume a proud and haughty pose. They were a potent symbol of status and wealth, as anyone who could afford to wear and maintain a ruff was clearly not doing any manual labor. The ruff continued to be worn in the early 17th century, but was beginning to peter out. By the time King Charles I came to the English throne in 1625, the ruff had disappeared and been replaced by a loose lace collar which draped over the shoulders, called a falling band collar.